Look no further, this home has it all! This Gorgeous, 4 bedroom, 3 bath home boasts nearly 2,000 sq ft, no HOA, LOW TAXES and OWNED SOLAR!! 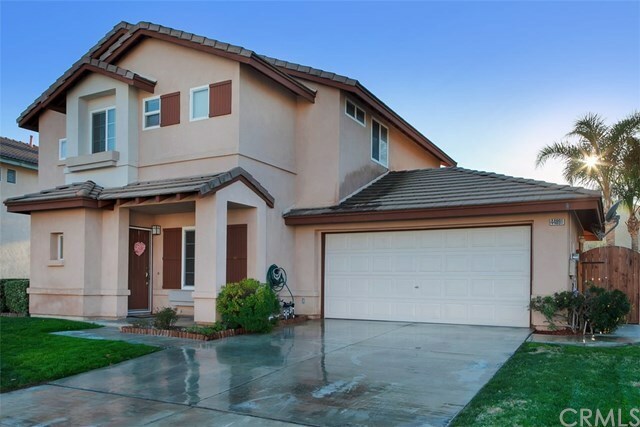 This home features beautiful curb appeal and sits on a Large Pool Sized Lot in the perfect neighborhood in the highly desired Great Oak School District! The inviting formal living room features upgraded flooring and a large dining room. The kitchen overlooks the spacious family room with a cozy stone-fireplace. The stairway leads up to the second floor which features a 3 spacious guest bedrooms and the large master bedroom! The master suite had vaulted ceilings, dual sinks, tub/shower & a large walk in closet. The massive private backyard a patio cover, no neighboring home behind property a garden and concrete pad for outdoor dining furniture. This home has OWNED SOLAR, has a 1.15% Tax Rate, NO HOA and is Located in Boundary of Great Oak High - rated in top 2% in nation!! This is an incredible deal and wonât las long!